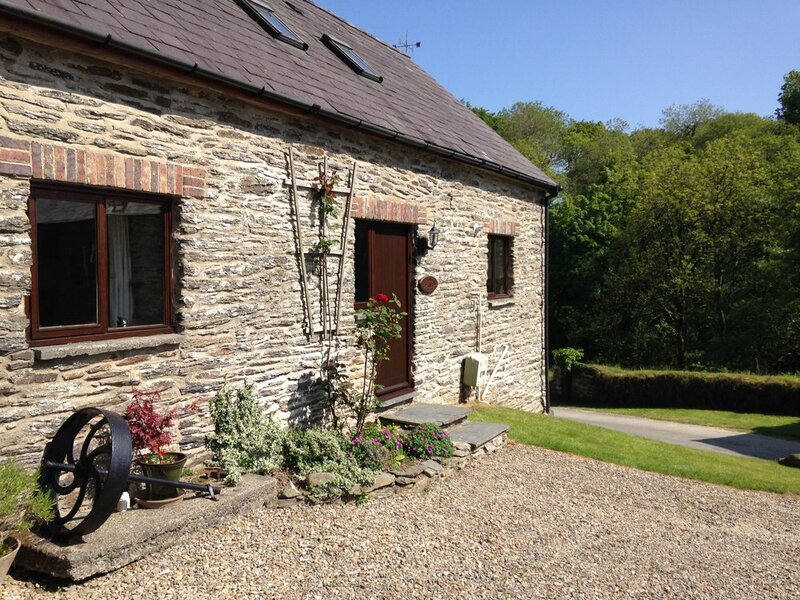 The Granary, four bedroom holiday cottage, sleeps eight, Cardigan Bay Wales. 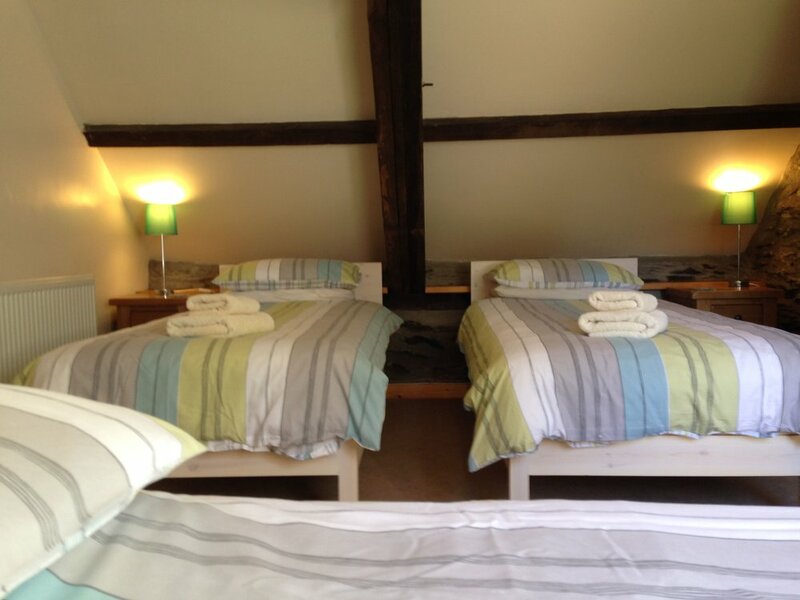 Holiday cottage sleeps eight in four bedrooms, graded five stars by Visit Wales. There is a comfortable sitting room and dining/kitchen with French doors to patio and lawns. There is a double bedroom on the ground floor. Upstairs the main double bedroom has an en-suite shower room with rain water shower in a Matki enclosure, there is a single bedroom and further bedroom with three single beds. The main bathroom has bath with rain water shower over.